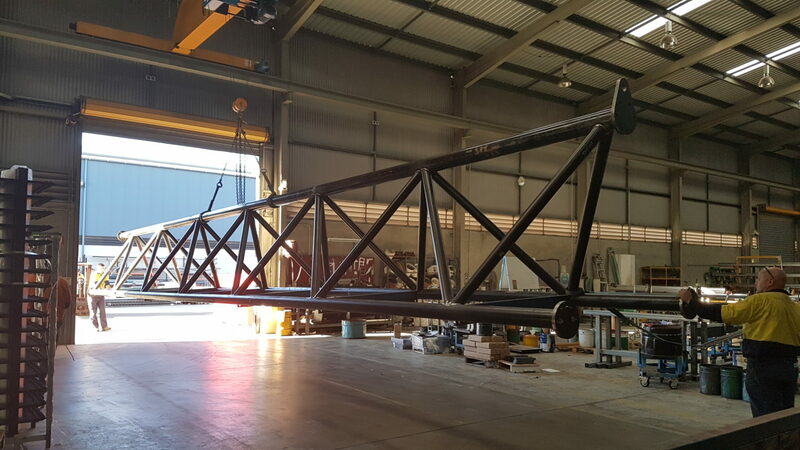 Our client, Quickcell Technologies, require a strong lifting device to enable crane operators to lift 130 tonne concrete girders out of the moulds once they are set. 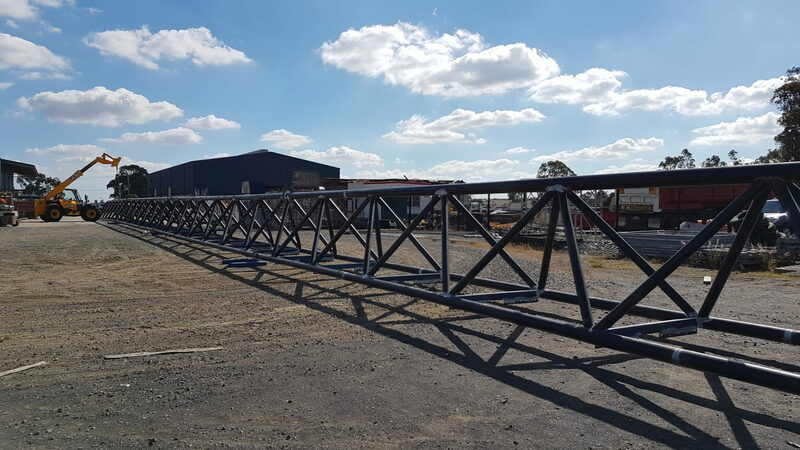 Create a 60 metre lifting beam in four separate 15 metre sections so that when aligned and assembled it connects accurately. 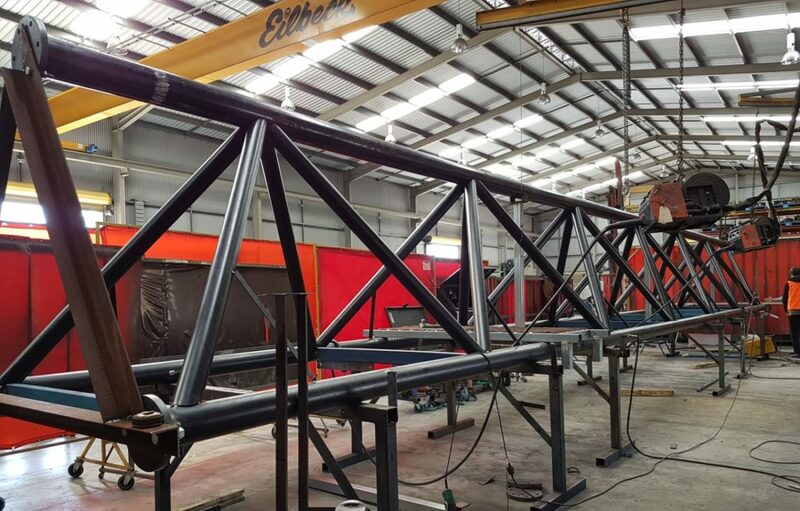 Strategically draft the beam in-house, then manufacture in four 15 metre sections on our premises, paying attention to detail to ensure that all pieces are accurately aligned when assembling. The four 15 metre sections aligned perfectly and are now used by Quickcell Technologies to efficiently remove the concrete girders from the moulds. The lifting beam distributes the weight of the load across more than one point which increases stability of the load and improves safety measures.